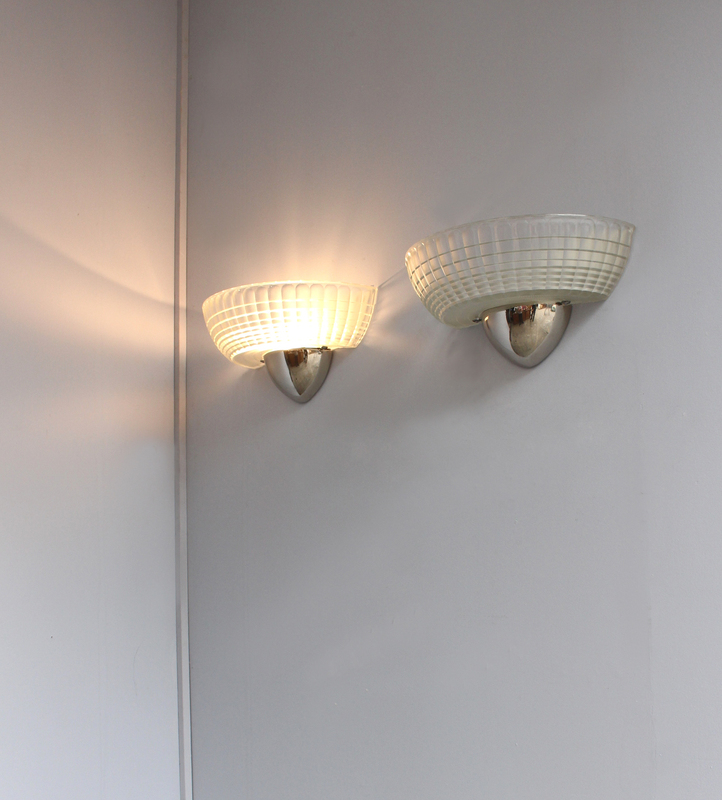 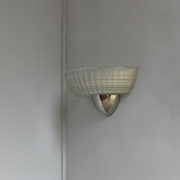 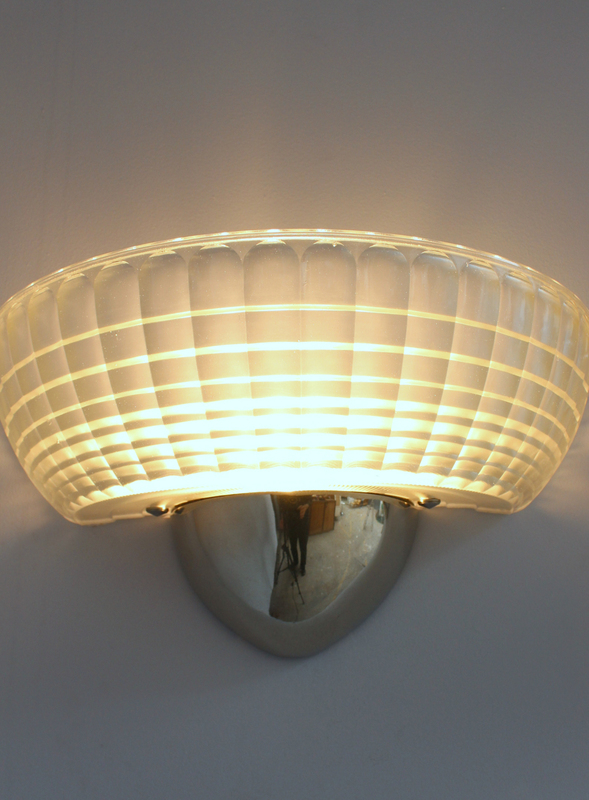 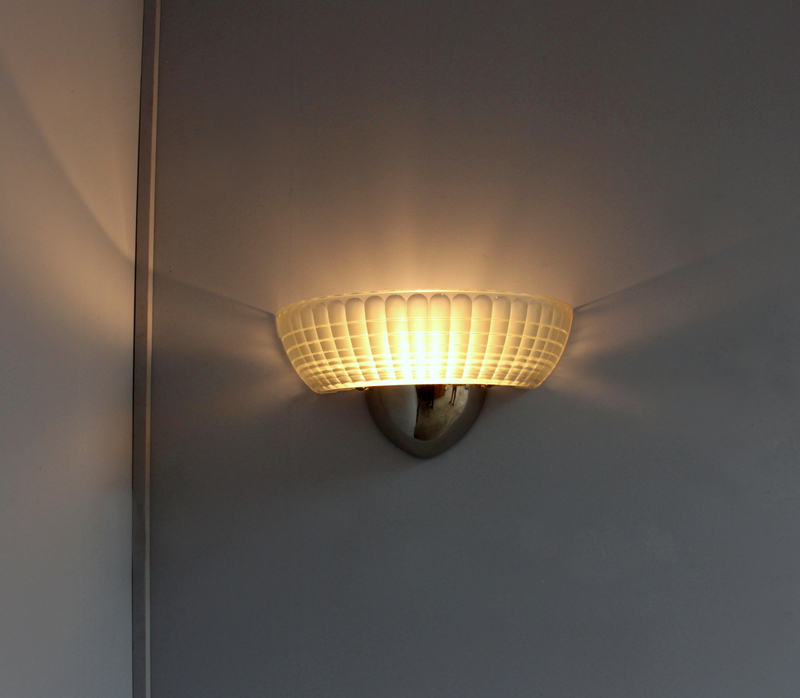 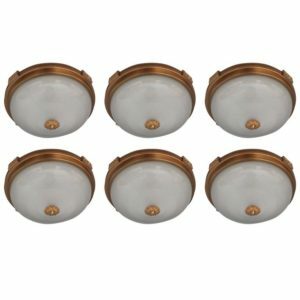 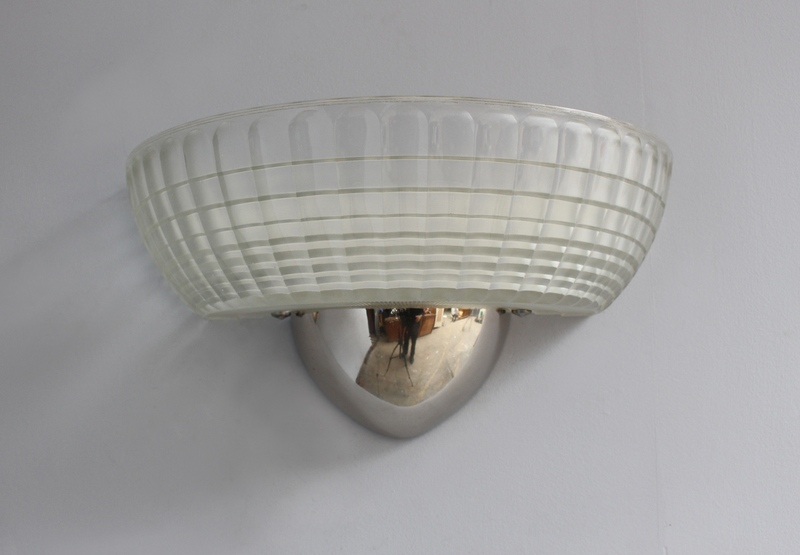 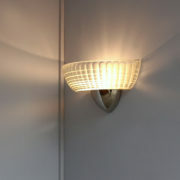 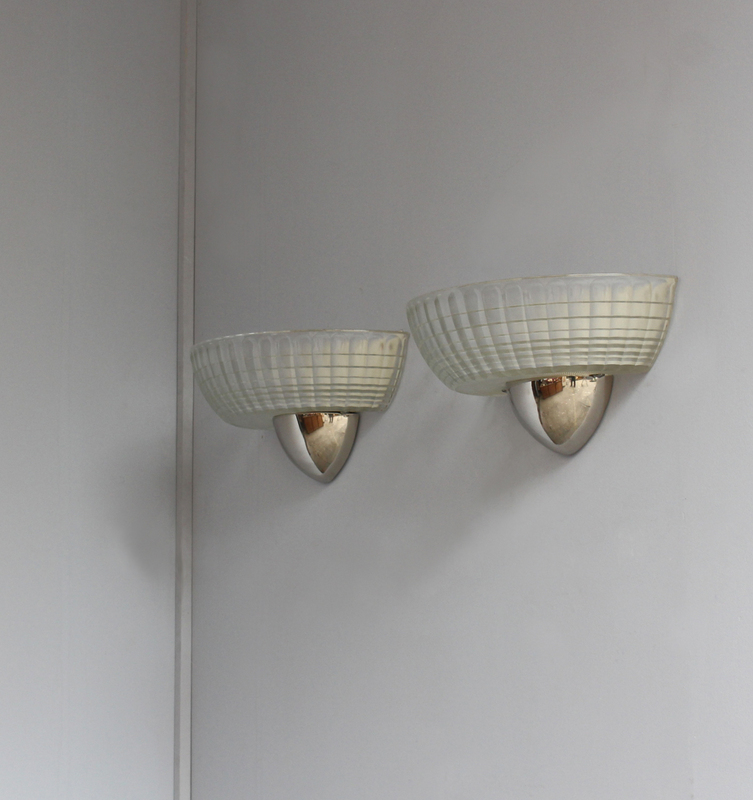 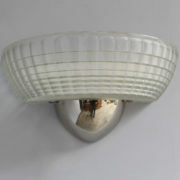 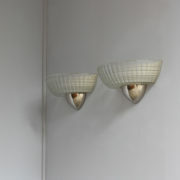 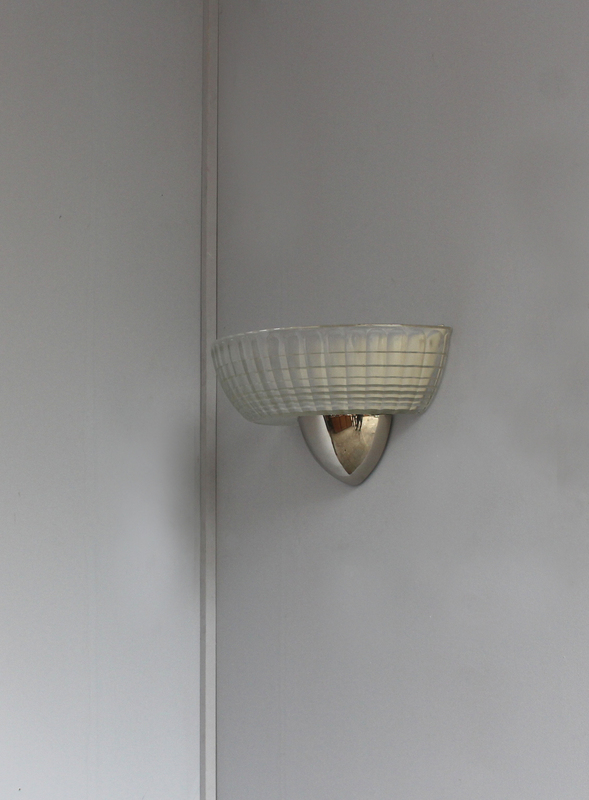 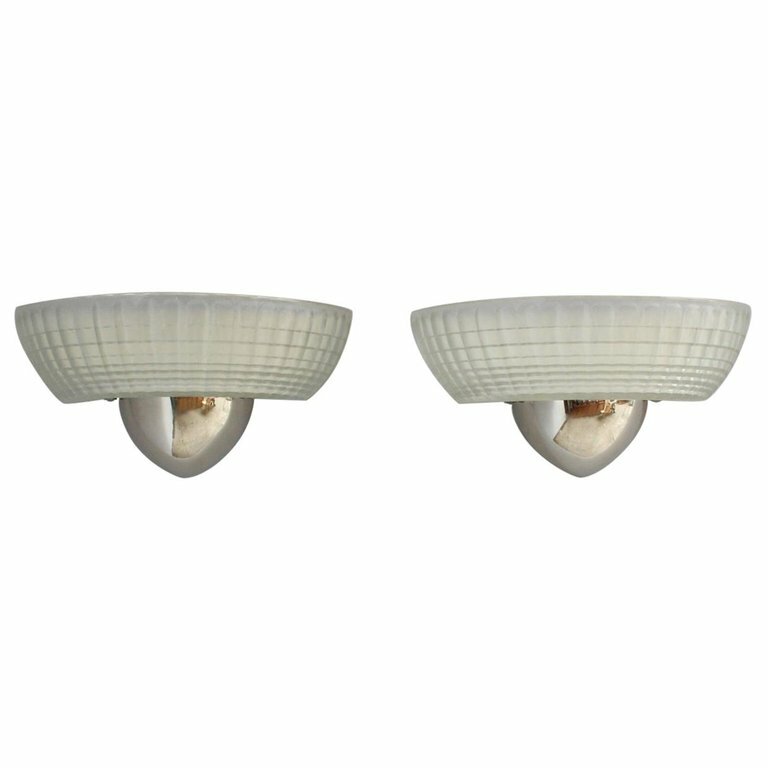 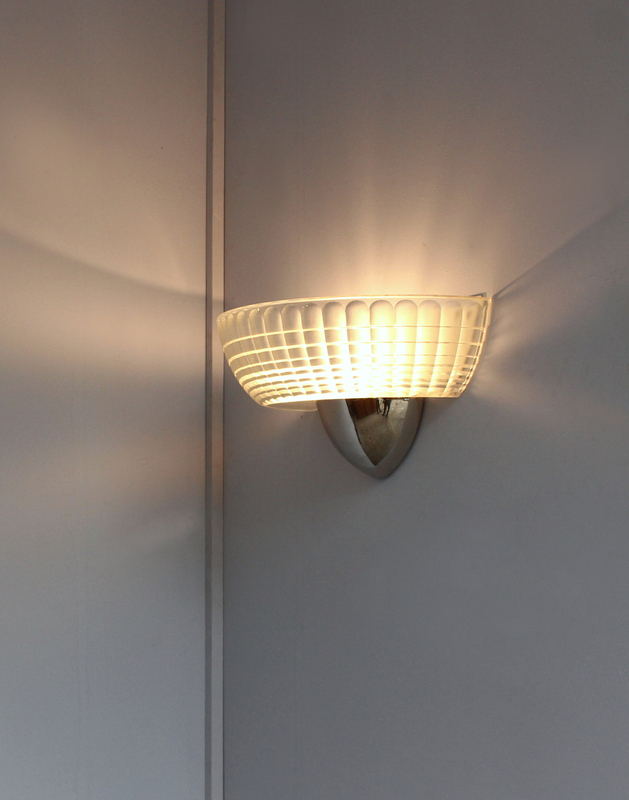 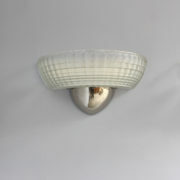 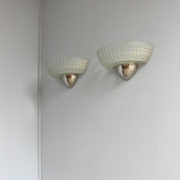 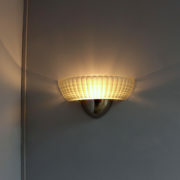 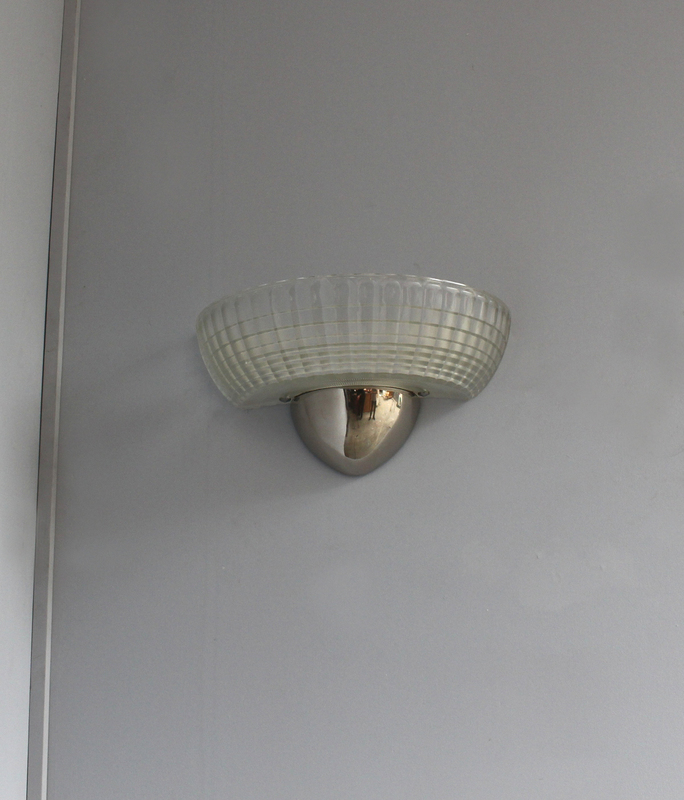 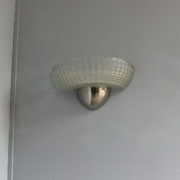 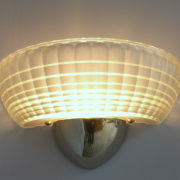 Four Fine French 1930’s wall lights with an Holophane glass diffuser mounted on a cast polished metal/chrome. 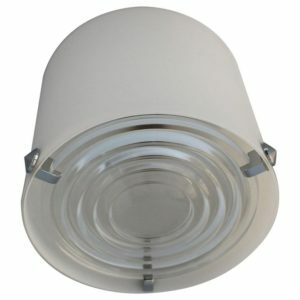 Very small manufacturer bubbles and few small nicks on glass shades. 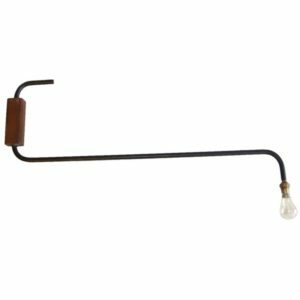 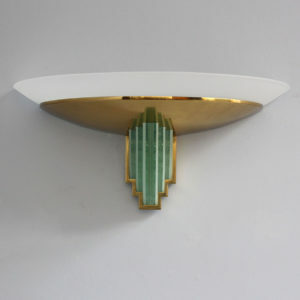 Soyez le premier à laisser votre avis sur “4 Fine French Art Deco Chrome and Holophane Glass Sconces” Annuler la réponse.